Ms. Morgan has a bachelor’s degree in Early Childhood Education from Valdosta State University and has been in Childcare since 2008. Before going into administration, Ms. Morgan taught Georgia Pre-K for 5 years. She is married and has a daughter who attends Discovery Point! She also loves spending time outdoors with her two dogs. Ms. Amy joined the Discovery Point team in 2013. She holds a degree in Early Childhood Education and has been teaching preschool since 2012. In 2017 she received the Terri Lynn Lockoff National Early Childhood Teacher of the year award. Outside of work, she loves cooking, hiking, and hanging out with her husband Jesse, her son Jasper, and their dog Mayo. (Lead Teacher, Infants) – Ms. Penny has worked in our Infant Room since August 2002. She has experience with special needs infants and is universally loved by the children and their parents. Ms. Penny received the 2013 Children’s Tylenol National Early Childhood Education Teacher Award. She has earned her CDA credential. Ms. Penny has a son. (Lead Teachers, Beginners) – Ms. Lydia has been with Discovery Point Bethelview since 2010. She has been in beginners since 2012. Ms. Lidia has three children of her own. She enjoys working with kids. In her spare time she likes to spend time with her family. (Lead Teacher, Toddlers) – Ms. Carol has been working with children since she was 16 by babysitting and started working in Childcare when she was 19. She has a degree in Early Childhood Education. When Ms. Carol is not working, she likes spending time with her daughter, baking, and cooking. She is from Syracuse, New York and moved to Georgia in 2017. (Lead Teacher, Early Learners A) – Ms. Julie has worked as an instructor with mentally, emotionally, and physically challenged children after high school. Later she worked as a Supportive Employment Specialist. Ms. Julie spent a year as Activity Director with senior citizens until being offered a position as Children’s Pastor and Children’s Ministry Director. She held this position for many years until her grandson came into her life. She kept him for three years before coming to Discover Point! Ms. Julie has taught art classes, workshops and camps. She continues to paint everything she can find! Ms. Julie grew up in Wisconsin and is a Packers Fan! (Lead Teacher, Early Learners B) – Ms. Angie has been working at Discovery Point since 2016. She is originally from California and received a Bachelor’s Degree in Marine Biology, but moved to Georgia in 2015. Ms. Angie has a daughter and son that attend Discovery Point Bethelview. When she is not working she loves to spend time with her family and explore Georgia. Ms. Angie absolutely loves working in early childhood education. (Lead Teacher, Achievers B) – Ms. Jasmine has a credential in Early Childhood Education. She joined Discovery Point in 2017 as a part time closer in our Early Learners Program. In August 2018, she officially became the Lead Teacher in Acheivers B. She has been in the childcare industry for ten years now, working with infants to school age. 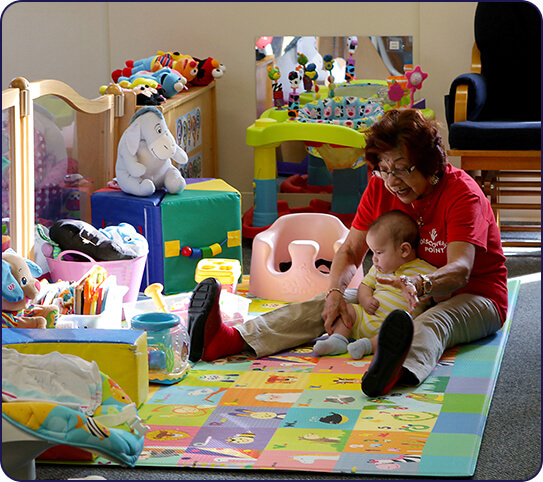 What she likes most about working with young children is that it is extremely rewarding. (Lead Teacher, GA Pre-K) – Ms. Ann is a K-5 and Orton-Gillingham certified teacher with years of experience and a passion for learning. She is married to a wonderful husband and has a beautiful daughter. She loves to watch college football and travel with her family. (Lead Teacher, GA Pre-K) – Ms. Lauren has a Bachelor’s Degree in Early Childhood from Kennessaw State University. She has many years’ experience teaching children across all ages. Ms. Lauren is known to the children and parents as “Ms. LaLa.” She has 2 young sons who bring joy and light to the staff here at Discovery Point. (School Age) – Ms. Shelby has a degree in Early Childhood Education and has worked with children for over 18 years. She loves teaching various age groups and treats every child as though they were her own. Ms. Shelby lives in Alpharetta with her Fiancè. She has four daughters and one son. She is a very big family person and loves spending all of her free time with them.